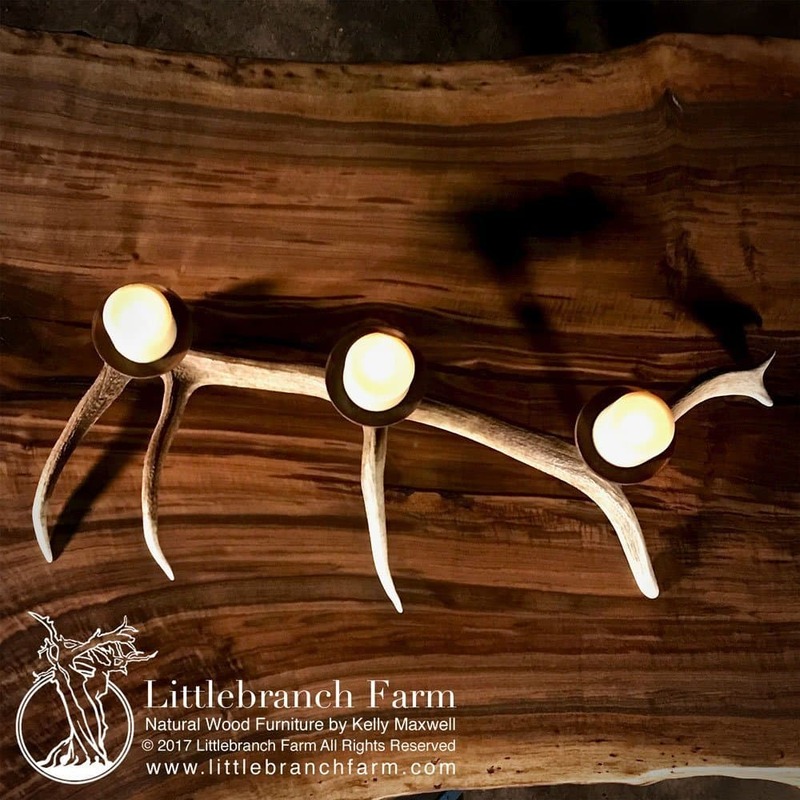 Rustic Antler Candelabra with 4 candle holders. 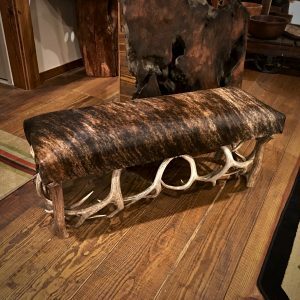 Handcrafted in the USA using natural Elk antler sheds. Dimensions are 46″(long) x 14″-18″(wide) x 9″(high). Shipping is free to the continental USA. 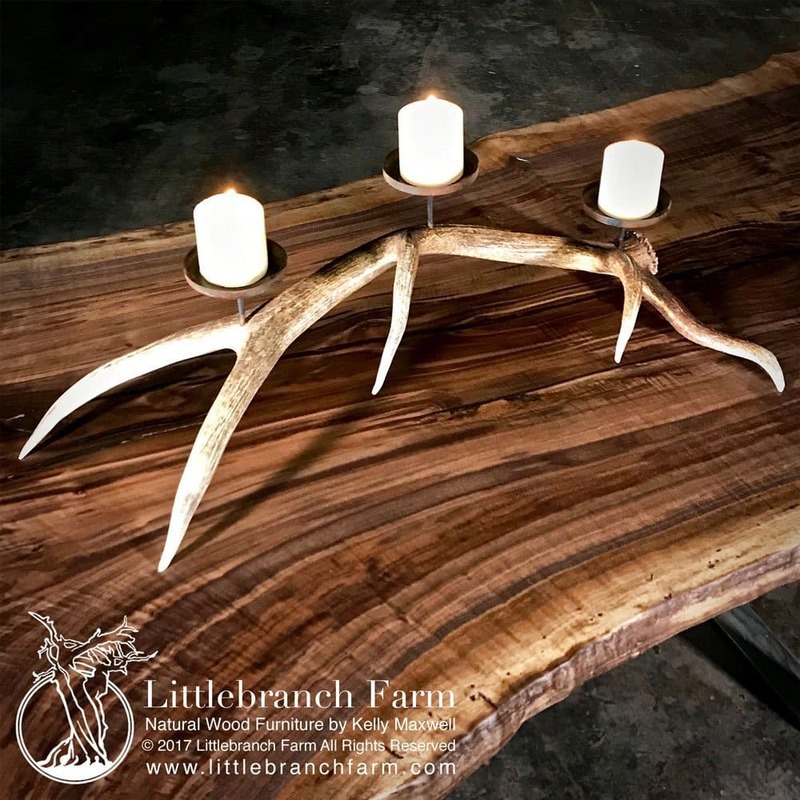 Rustic Antler Candelabra made in the USA using Elk antlers. 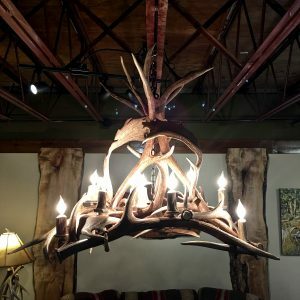 These are naturally antler sheds. 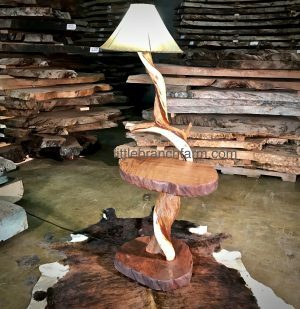 The current stock has 3 candle holders but other sizes are available. 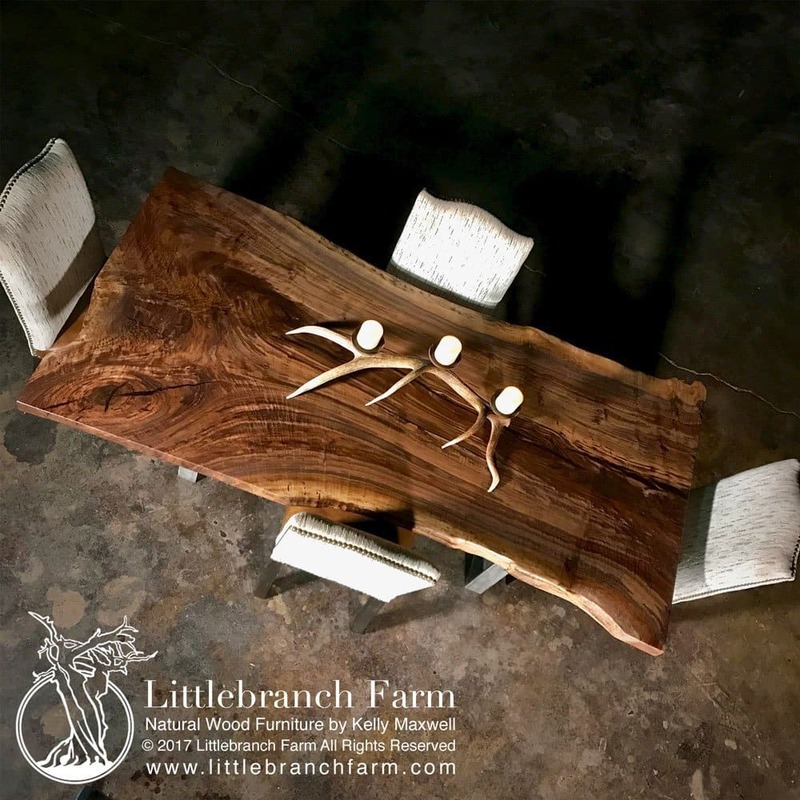 Also, the sizes vary but current stock average 38″ long and 16 to 16″ wide.